!! 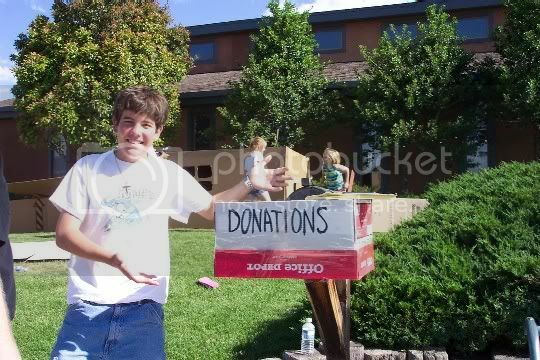 Mexico Servant Fundraiser Photo Post !! 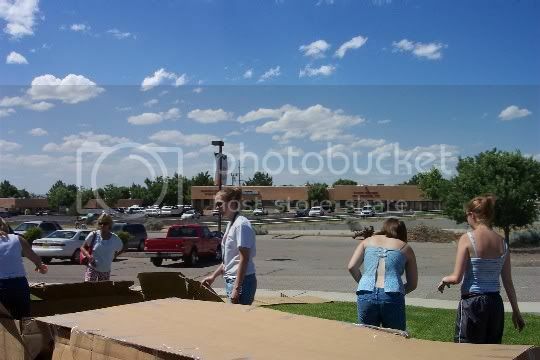 So, yes, I downloaded the pictures I took of "Box City" during the Mexico Servant Trip Funraising event. Some are funny, others are really good shots I'm very happy with, and others, well you will just have to see. I took 45 some odd pictures, but have only uploaded 11, and I resized them so that you poor poor people with dial up accounts can see them. If you have dial-up, you may want to click the link, then go get your beverage of choice and comeback. I have found one down side to being behind the camera, you are never in any of the pictures. Which would also explane why I have lots of pictures of differnt things, but almost none of me in them. Well, I hope you enjoy them, as we really had fun doing this, even if we did not get much sleep. And when we did sleep, is was not quality sleep. Number one question? 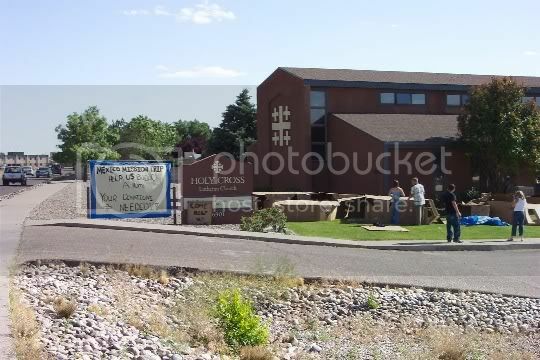 Why does it look like a box factory took a dump over the yard at church? This picture was taken right as we started construction. 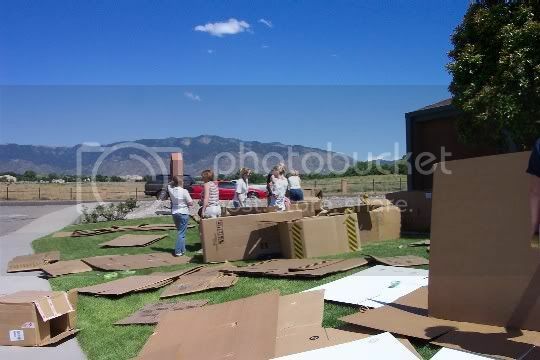 I'm not sure how the decision was made to just start spreading cardboard all over the grass, but thats what we did. Then we just picked what stuff we wanted, and used it to build our house. So, we are moving along with construction of "Box City". More people have showed up, and are starting to build there house, apartment, or even condo complex. Elaine helps us build our city. Elaine's sister, Erin is going with us to Mexico. Right behind Elaine is Pastor Erik house, which he named, "Pastors Pad". 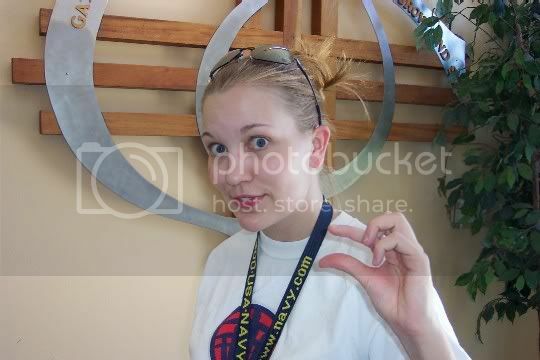 This is Kristin who is the Youth Director over at All Saints. This is her before she was crazy from no sleep. Think of what she was like the next morning? All I'm going to say is that it was very funny. Here is Ben. He is going to Mexico with us. He is also very hyper and likes to beat on me. So, if you hear of a soon to be high school freshman being left in Mexico, you can guess it is him. Ok, he really is not too bad, but sometimes he can just get a little out of control. Also, we came up with a new "You Might Be A Redneck" joke. 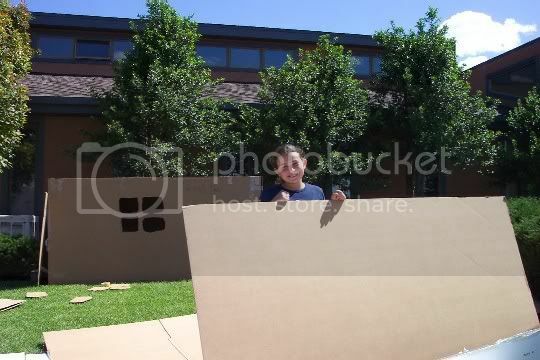 So here it goes: "You might be a redneck if you have ever straped a box on to your church's mailbox using packing tape". See photo above! View of our big sign and parts of "Box City". In the background on the left is Wyoming Blvd, which can backup very much during rush hour. We are standing on the Wyoming Blvd median, the box says "If you lived here, you'd be home". In the background is the intersection of Wyoming & San Antonio. We made lots of loot at this intersection. Here is Hanna. She is one of Pastor Eriks kids. 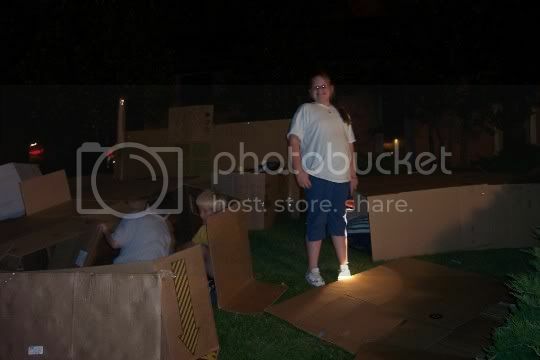 She is standing in the middle of "Box City". Behind her is Pastors Pad. Here is Pastor's Pad after random people got done redoing the outside. They used a really nice shade of white TP. Sean, Sean, Sean. He makes me laugh o so much. 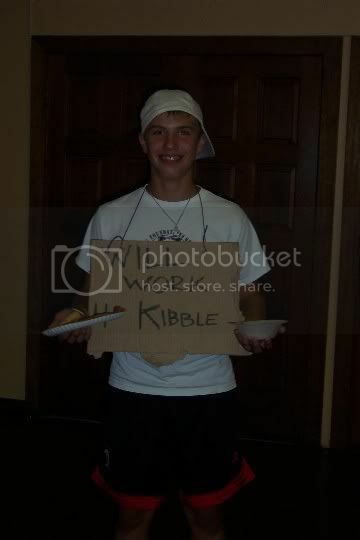 Sean is wearing the sign we made for the dog, that reads "Will work 4 kibble". That is the same dog & sign that made the evening TV news. This is Mick, Mick is not the smartest person alive. That BMW Z4 he is sitting in is his girlfriend's father's car. Also, Mick had just got his provisional drivers license that day. But, to top it all off, Micks girlfriend's father is now Micks boss. You do the math! Current Mood: Sleep, me need sleep. Good! You even took pictures of your box(es)! Yes, but I forgot to take pictures of just my place. O well. I have all the pictures in my memory in my head. LOL. Good Pictures, Kevin, thanks for sharing them. You got good coverage between TV, the newspaper and radio, and that's not easy to do. Heard Eric's interview on KKOB-AM this morning, well done. God's Blessings, Grandma PS I have a copy of the Journal article if you want it. It was, even if I did not sleep well.